First, that the Horde is definitely not an Orcish organization, as it was the united efforts of pretty much every other race under the Horde umbrella that brought Hellscream down. Second, that the Horde is more than willing to turn on itself if there’s enough incentive to do so. The interesting part about Warchief Vol’jin in particular is that in a way, he already knew what was to come — even if he didn’t realize it at the time. 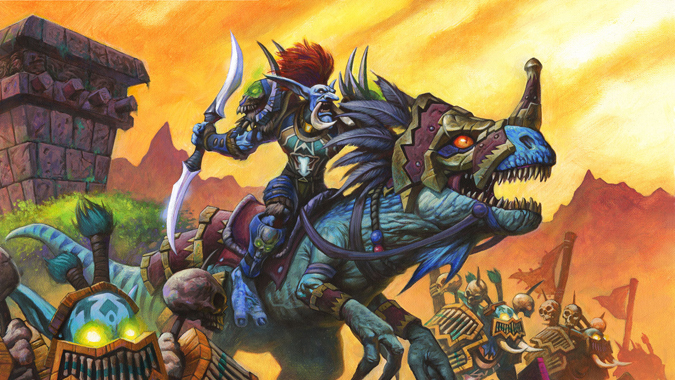 Before he became Chieftain of the Darkspear, Vol’jin was sent into First Home, a jungle on the original Darkspear islands where the loa tested those who would become shadow hunters. Vol’jin was sent by his father Sen’jin, who had had a vision of what was to come — presumably, his own death — and wanted his son to prove himself before disaster struck. So Vol’jin and his friend Zalazane traveled deep into the heart of First Home to see what they could find. Each was given visions of possible futures for themselves, and learned that at some point in the future, they would be set against each other. But Vol’jin didn’t just get visions of Zalazane…he was given visions of the Horde. Visions of Thrall, visions of the fateful duel between Cairne Bloodhoof and Garrosh, visions of Garrosh casting the Darkspear from Orgrimmar. When he left First Home, the majority of these visions faded. But when he learned of the Orcs’ arrival on the Darkspear islands, and his father’s fate, he wasn’t exactly surprised, nor did he hesitate to step into his new role as leader of the bedraggled tribe. He gladly joined the Horde, because Thrall had saved his people — and possibly because he realized this might have been the vision his father saw, the one that sent him to First Home in the first place. But those visions of Zalazane ended up coming to pass. The witch doctor turned on the Darkspear, using dark magic to enslave his tribemates, and the Darkspear were forced to flee. Meanwhile, Vol’jin was asked to come to Orgrimmar and serve as Thrall’s advisor, so the recapture of the Echo Isles was left in the hands of Master Gadrin. Vol’jin spent many years helping Thrall, giving him advice when asked, and quietly planning a way to take back the Echo Isles for good. Because even if he wasn’t consciously aware of what he’d witnessed in his visions while surviving the trials of First Home, those visions still guided him to one inevitable conclusion. Vol’jin would, eventually, have to kill Zalazane, and the Darkspear would, eventually, reclaim the Echo Isles. It was destiny — a future that the loa knew about before it even arrived. It wasn’t until Garrosh came to power that Vol’jin made his thoughts about the Horde clear. To Vol’jin, the Horde was and always had been a family, and Garrosh was trying to turn it into something else. Hellscream was not the Warchief that Vol’jin pledged the Horde to, and Hellscream seemed perfectly content with tearing the Horde apart from within. Vol’jin and the Darkspear were devoted to that ideal of a family — they certainly weren’t interested in Garrosh’s vision of a militaristic powerhouse. And the loa had seen this, too, and shown that future to Vol’jin in the jungles of First Home. Which makes one wonder, what exactly are the loa? How did they know about these future possibilities, how did they know what would come to pass? Thrall hadn’t even met the Tauren yet, but they knew with certainty of Baine Bloodhoof, and they knew Vol’jin would witness that fateful duel between Garrosh and the Tauren Chieftain. How? In various bits of lore, we’ve discovered that the Troll Druids often refer to the Ancients of the Night Elves as loa. But it isn’t really ever made clear if this is a designation based on the similarities between the two, or if the loa are, in fact, the Ancients, just given a different name. If that’s the case, then it makes sense that the loa would see these things, because the Ancients are described as being born of Azeroth itself — so maybe they have a sense of what Azeroth’s future holds. Yet at the same time, Garrosh Hellscream wasn’t even on Azeroth when Vol’jin originally witnessed the visions in First Home — he was still on Draenor. It wasn’t until years later that Thrall brought him back to Azeroth. So how did the loa know? 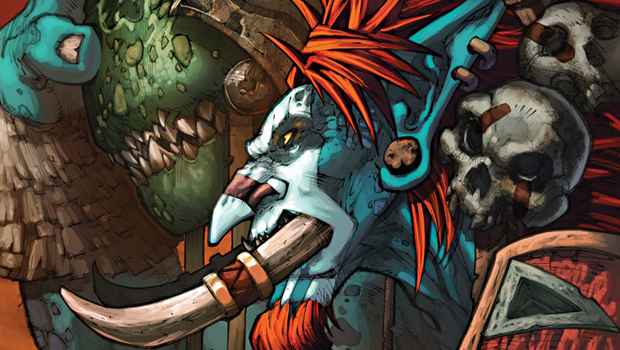 It might have something to do with Vol’jin himself — the loa could see all his potential futures, including those that involved Hellscream. It’s sort of odd in retrospect to think of Vol’jin serving as Thrall’s advisor, yet at the same time, understandable — Vol’jin’s journey into First Home was a rite of passage in a way, and served as the moment that Vol’jin came of age. Given that Thrall was appointed Warchief of the Horde by Orgrim Doomhammer at roughly 18 years of age, one can assume that Thrall and Vol’jin are likely a lot closer in age than you’d think. And there are plenty of parallels between the two leaders. Both came from a long line of leaders — Thrall from Durotan, Chieftain of the Frostwolves, and Vol’jin from Sen’jin, leader of the Darkspear. Both were abruptly pushed into leadership, something neither were necessarily prepared for, but both had an uncanny knack for leading that served them well. Thrall led a rebellion against the Humans that kept the Orcs imprisoned in internment camps after the Second War, earning the respect and admiration of the Orcs by setting them free. And Vol’jin earned much the same when he led a rebellion against a Warchief that viewed any race other than Orc as tools to be used and discarded at his whim, and the Horde itself as a war machine. 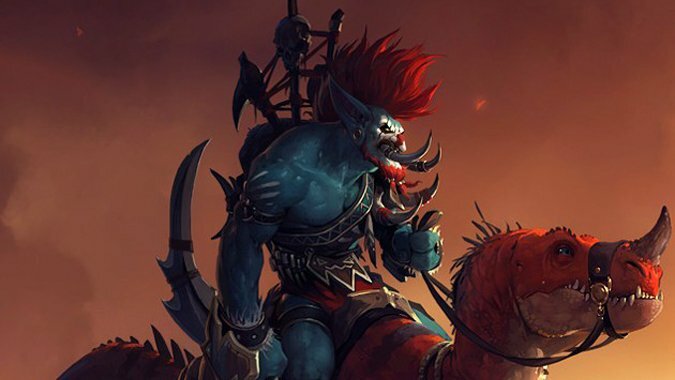 Vol’jin was made Warchief for much the same reason that Thrall was originally made Warchief of the new Horde — in uniting the Horde to fight a common foe, both had proven that they could effectively lead. Yet that’s also where both Warchiefs run into the same stumbling block that, in Thrall’s case, eventually saw him abandon the title. While yes, both leaders had shown they were capable of uniting their people, they had only done so under extreme situations. What happens to the hero that united a faction against an enemy, when that enemy no longer exists? In Thrall’s case, the response was stagnation. Did he triumph in liberating the Orcs from the internment camps? Absolutely. Did he successfully lead his people to Kalimdor and fight the Burning Legion in the Third War? Without question. But when life settled down and there were no major foes to counter, Thrall had very little to do. In a way, he suffered from the same thing that Garrosh feared he would suffer from when Thrall offered to make him Warchief — Garrosh was a military leader, and he knew this. But leading a faction and leading a military campaign were two very different things. Thrall encouraged him to take the role of Warchief anyway, despite Garrosh’s reservations…and we all saw how that turned out. Which leads one to wonder where Vol’jin’s journey will take him, now that the dust from Orgrimmar’s siege has settled. 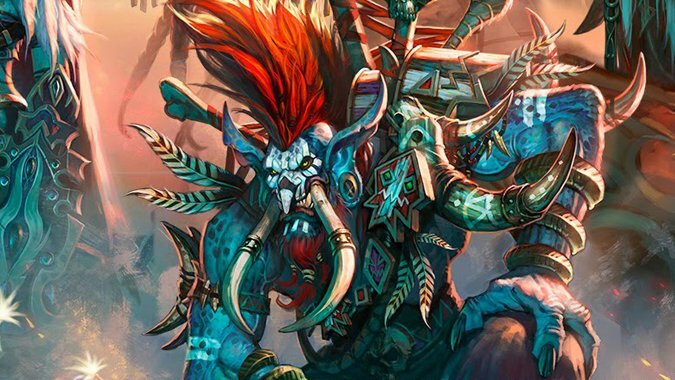 Has Vol’jin proved himself enough in the face of adversity that he’s capable of leading when there’s none to be found? 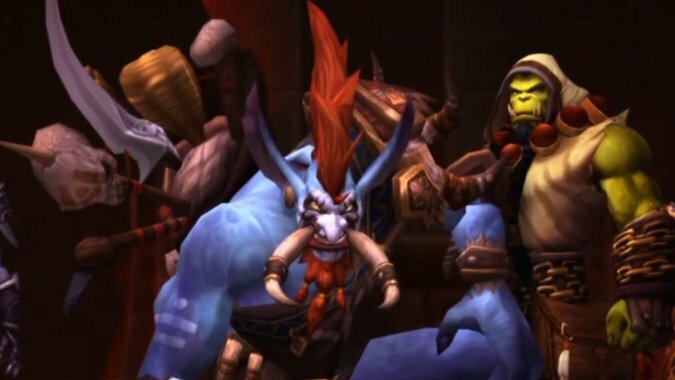 Vol’jin took a back seat in Warlords, letting players assume the role of leader on Draenor — so what has he been doing in Orgrimmar, while everyone else has been away? We’ll be facing our toughest enemy yet in the upcoming Legion expansion, so it’ll be interesting to see where Warchief Vol’jin’s role takes him — whether he steps up to the front lines as he did in Orgrimmar’s Siege, steps down and allows someone else to take the role as Thrall did, or even whether he survives the experience.